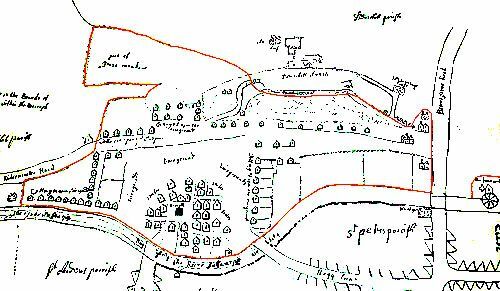 In modern day Dodderhill there are a number of small brine springs and pits, but for most of its history, the parish extended right into what is now Droitwich, and it was here that most of the brine pits and wells were situated in what is now Vines Park. 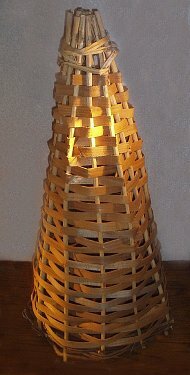 (“Vines” is a Saxon term for an area used for wood storage, the fuel used for the salt industry.) The Saxon and medieval pits were at Netherwich, Middlewich and Upwich. 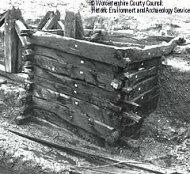 Excavation of Upwich (the Great Pit) in 1983/84, showed that it went back to Roman times and had been rebuilt around 1264, which ties in with the written records. The previous pit had deteriorated to such an extent that the town was in grave danger of defaulting on its yearly payment of £100 to the King, through the loss of brine income. The pit was surrounded by salt-making houses which were known as seals. The salt-making period lasted from June to December and the salt fairs were held each year on the 1st October and 1st December. On one of his return visits to Droitwich, sometime between 1247 and 1249, Richard, Bishop of Chichester, gave an Episcopal blessing to the dried up brine springs which miraculously caused them to flow again. © Dodderhill Parish Survey Project – this section (reproduced with the permission of Droitwich Spa Town Council from a 17th century map), shows the part of the Dodderhill parish (outlined in red) south of the church of St Augustine which lies within Droitwich, and which also includes many of the Salt Seals (indicated by little “houses”). In the early 20th century, after the move of salt-making from Droitwich to Stoke Prior, the salt workers’ cottages had deteriorated – the whole area had become a slum. They were demolished and the Vines Park developed to commemorate the Jubilee of King George V.
A replica of the Great Pit was erected in 2000, on the site of the most productive ancient brine spring and Roman and medieval pit. 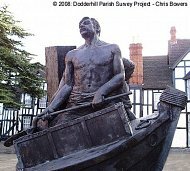 Many of the workers for the salt industries of Droitwich (and later Stoke Prior) lived in the parish of Dodderhill. 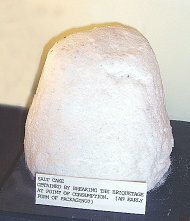 A lump of salt on display in St Richard’s House, Victoria Square, Droitwich Spa. The mediaeval Upwich Pit is revealed during an archaeological dig.